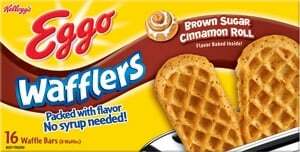 We are so excited to be Chief Waffle Officers once again for Eggo! 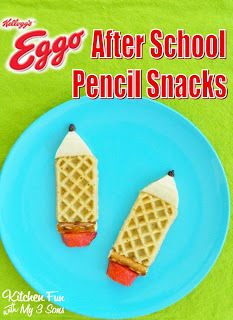 We are huge fans of Eggo products and will be sharing our fun Eggo creations with you every Wednesday for next 8 weeks! 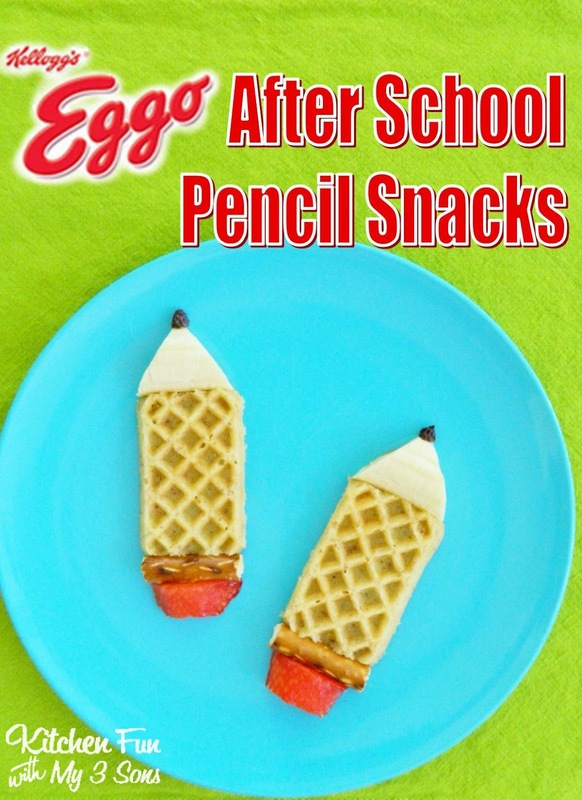 We are starting out with this fun Eggo After School Pencil Snack using the Eggo Wafflers. I could eat a whole box of these things…they are awesome! My boys love them as well and always beg for the Wafflers at the grocery store. This fun after school snack is so easy to make & the kids will love it! Toast the Wafflers and then place them on a plate. Peel a banana and cut it in half. Cut 2 triangles from one half using a knife. 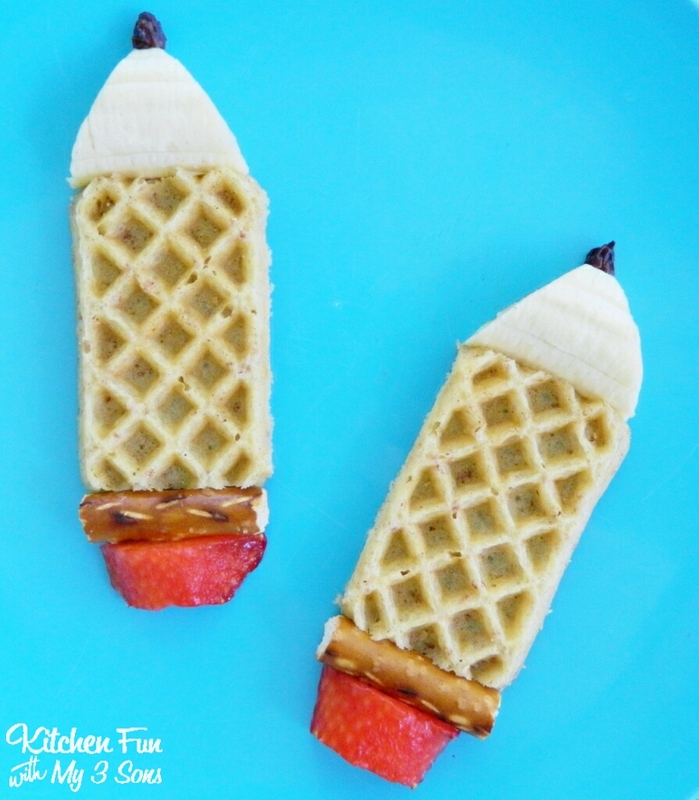 Place the banana triangles on top of the Eggo Wafflers. Break off a 2 pieces of a pretzel rod to fit on the bottom of the Wafflers. 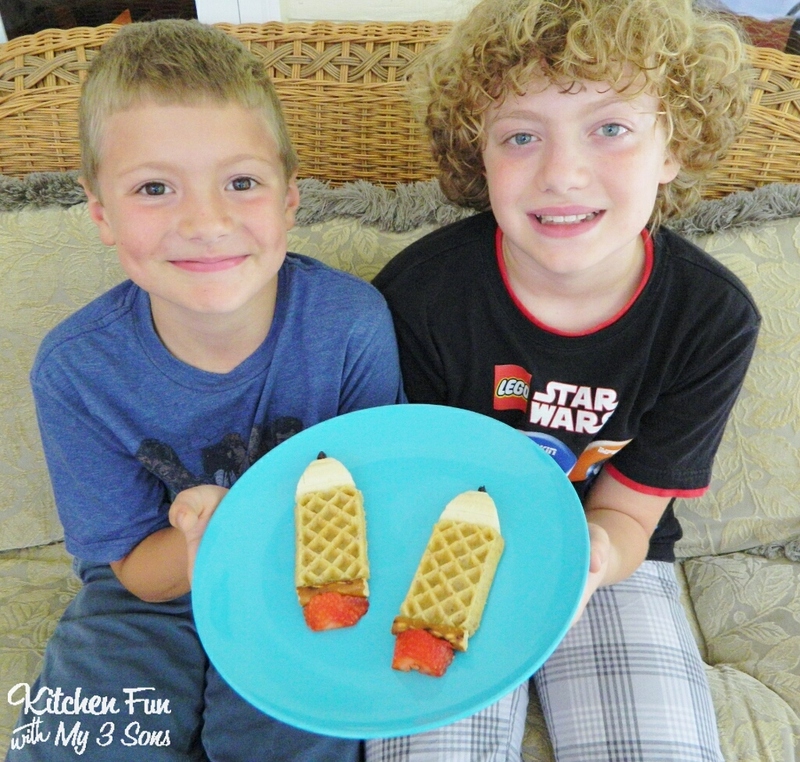 Cut a strawberry in half and shape the halves to fit the bottom to look like erasers. Cut a raisin in half & add it to the top of the banana to look like the led of a pencil. That is it..super easy right?! 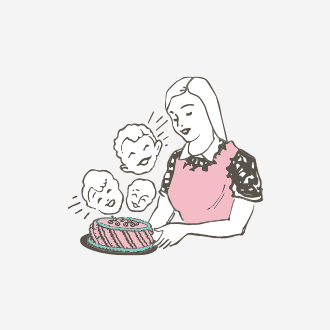 We would love to hear your suggestions of a Holiday or theme that you would like to see us make using Eggo! 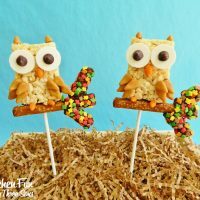 Next Post » Kitchen Fun & Crafty Friday link party including Target Gift Card & Popsicle GIVEAWAY!! 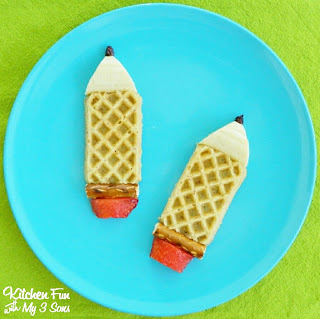 Your boys are the cutest and these Eggo Waffle Pencil's are a great idea! 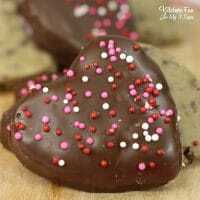 Thank you so much for sharing with Full Plate Thursday and have a great weekend!